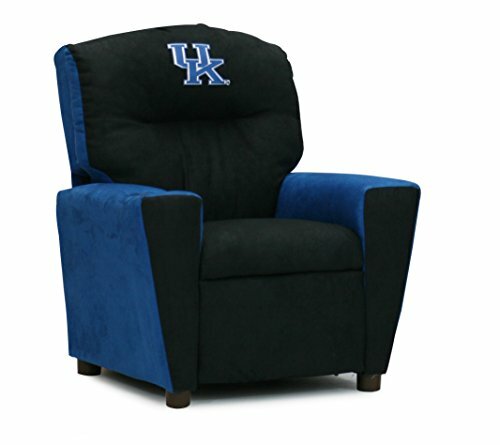 Childrens University of Kentucky Wildcats Recliner Chair With Cup Holder - Upholstered Reclining Armchair For the Young Sports Fan by ASPEN TREE INTERIORS at Indsight. Hurry! Limited time offer. Offer valid only while supplies last. U of K kids chair will make any child an instant fan! Such a great kids's seat for reading, playing and watching on game day! GREAT HOLIDAY GIFT IDEA for a child or grandchild in your life! At least you know this is a present that will be used and truly enjoyed. If you have any questions about this product by ASPEN TREE INTERIORS, contact us by completing and submitting the form below. If you are looking for a specif part number, please include it with your message.